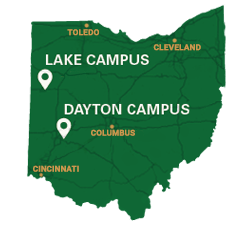 We are excited you are considering Wright State! The links below will help you take the next step. Apply as an undergraduate, graduate, international, or transfer student. Or, if you need more information, explore our website or schedule a campus visit. We’re sure you will like what you see. If you are a high school graduate apply as an undergraduate. Explore our master’s and doctoral programs. View information and resources for international applicants. If you have completed 12 or more credits at another college or university apply as a transfer applicant.